ANDREW STOREY enjoys a busy schedule as an organist, repetiteur and choral conductor in and around London. He has performed in major concert halls both in the UK and abroad including the Royal Festival Hall, St John’s Smith Square, Brussels Cathedral, Westminster Abbey and St Paul’s Cathedral. Andrew has a long association with Ashtead Choral Society dating back to their tour of Prague in 2001. Since that time, he has played the organ and piano in several concerts, toured with them as organist to Florence, Salzburg, Bruges and more recently conducted them on tour in Luxembourg. He is delighted to be their new Musical Director and to begin his tenure by leading them in the 70th Anniversary year. In 1992 Andrew joined the Hackney Singers as their repetiteur and over the past 25 years has worked on and performed in major choral works including Messiah (Handel) and B Minor Mass (Bach) with the London Mozart players both in the Festival Hall, Requiem (Verdi), Creation (Haydn), Gloria (Poulenc), Petite Messe Solennelle (Rossini) and Carmina Burana (Orff). Working with Mark Shanahan and Dan Ludford-Thomas inspired him to take up the baton and in 2005 he became conductor of the Ashtead Singers, one of the premiere chamber choirs in Surrey. He has conducted them in leading liturgical services in English Cathedrals and also in concert both in the UK and abroad. 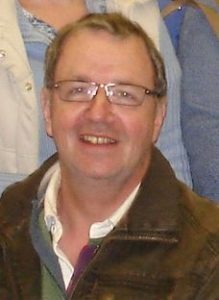 In 2014 Andrew was appointed as the Musical Director of Faversham Choral Society where he led them for three years which included their 50th Anniversary year. In 2017 he accepted the role of conductor of the Old Bailey Choir and has recently conducted The Armed Man in the Royal Courts of Justice with the combined legal choirs of London. 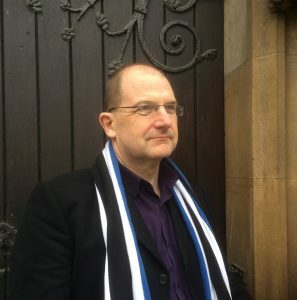 In addition, Andrew occasionally works with other London based choirs and orchestras including Lewisham Choral Society, Concordia Chamber Choir, Battersea Choral Society and the Forest Philharmonic orchestra. Andrew teaches at Dulwich College and assists the music department by singing in the Chapel Choir and conducting senior school musicals such as Guys and dolls, Kiss me Kate and Grease! Stephen is originally from Wigan, and began to play the piano at the age of seven. After winning two national awards whilst still at school, Stephen obtained his performer’s diploma shortly before going to Queens’ College Cambridge to read modern and medieval languages. Whilst at university, Stephen also developed his singing, and appeared as a choral and orchestral conductor. After university, Stephen also spent 12 years in the London Symphony Chorus, working, in London and abroad, with conductors such as Leonard Bernstein and Sir Colin Davis. Stephen’s wide-ranging solo repertoire ranges from Bach to the present day. As accompanist, he has worked with many singers and instrumentalists, including works such as Rachmaninov’s Sonata for Cello and Piano, and the Four Last Songs of Richard Strauss. Stephen has also given a number of recitals of piano duet and two-piano music with his duo partner Simon Phillips, particularly featuring works by Rachmaninov, Ravel and Brahms.